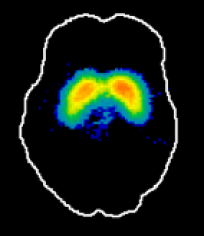 SPM8 for PET and SPECT is an intermediate-level, 5-day workshop designed for investigators having familiarity with the fundamental principles of PET and SPECT data acquisition, with at least six months experience in analysis. It will be held at Yale University in New Haven, CT from JAN 2 - JAN 6, 2012. The workshop will focus on using SPM8 and its extensions for preprocessing, statistical modeling and visualization of data associated with a range of image data types used in PET and SPECT basic and clinical experimental designs. While the primary emphasis will involve using the core SPM8 programs for these purposes, there will also be extensive discussion of a variety of software tools that extend the power of SPM8. Some of these tools facilitate quality assurance through artifact detection and mitigation at various analysis stages. Other tools support a variety of data visualization methods, including MRIcron and xjView. As the presentations will include demonstrations and tutorials utilizing SPM8, participants are expected to bring a laptop with MATLAB, SPM8 and MRIcron already installed. Detailed setup instructions can be found here. Each afternoon will end with a laboratory session, in which participants will gather in small groups to work through the stages of analyzing data from example experiments. In addition, the website will provide guidance for subsequent self-study. The course is co-sponsored by Yale Psychiatry Imaging, the Yale Spect Imaging Group and the Yale PET Center. Location: Directions to campus can be found here. 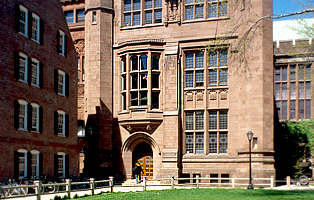 Lectures will be held in Room LC 317 in Linsly-Chittenden Hall at 63 High Street in New Haven. Payment: You can arrange payment using PAYPAL here. The fee for the 5-day program is US$1500. Reduced rates of US$1250 for post-doctoral fellows and US$1000 for undergraduate, graduate or medical students are available. A 20% discount is available to all Yale University investigators. Accommodations: There are at least 3 hotels within 5-10 minute walk from the course site, including the Study, Omni, and New Haven hotels. The course instructor will be Thomas Zeffiro.